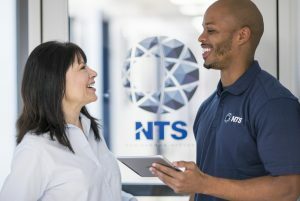 NTS in Pittsfield, MA is seeking an Electrical Engineer. Must be eligible to work in the US without sponsorship and possess a BSEE or Physics degree and 2-5 years electrical engineering experience in one or more of the following areas: Electro-magnetics, transients in electric circuits, high voltage phenomenology, ionization processes, electric power engineering OR we will consider recent BSEE or Physics graduates with major study experience in one or more of the following areas: Electro-magnetics, transients in electric circuits, high voltage phenomenology, ionization processes, electric power engineering . You must have skills in numerical simulations using PSPICE, ANSOFT, COMSOL, or similar computational tools. 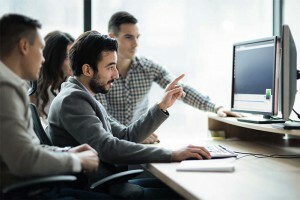 This is an opportunity to join a highly regarded company with a world-wide reputation for excellence in our technology areas. Successful candidates will have the opportunity to “think outside the box” and suggest clever solutions to unusual protection design constraints, and to oversee a project’s progress from planning to completion. LTI/NTS performs research, design, test, consulting and training for protection of a wide variety of systems against the hazards of lightning and other electrical phenomena, especially to the aircraft and aerospace, defense, and alternative energy industries. We are considered by many to be the world leaders in lightning protection design and simulated lightning protection verification testing. •	Must have skills in numerical simulations using PSPICE, ANSOFT, COMSOL, or similar computational tools. •	Interest in hands-on laboratory test work and ability to document technical results with proper grammar and derive analysis from the results.